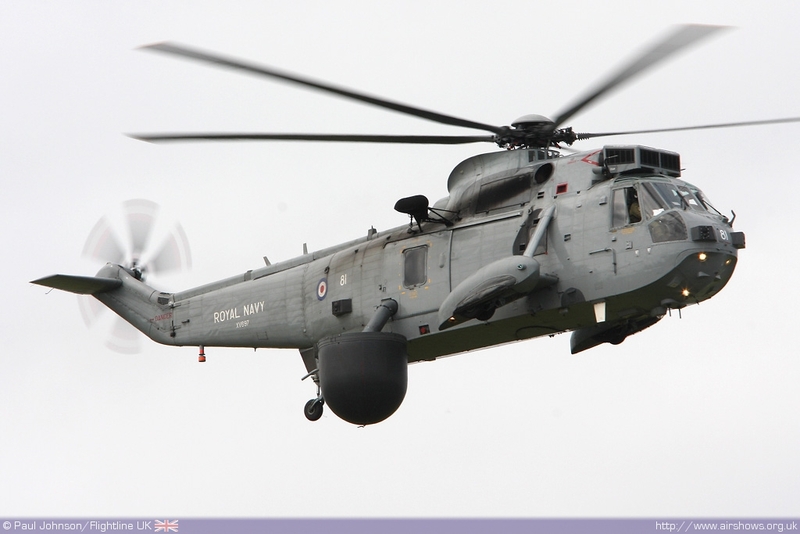 The second of the Royal Navy's two "Air Days" is held at RNAS Culdrose, near Helton in Cornwall. 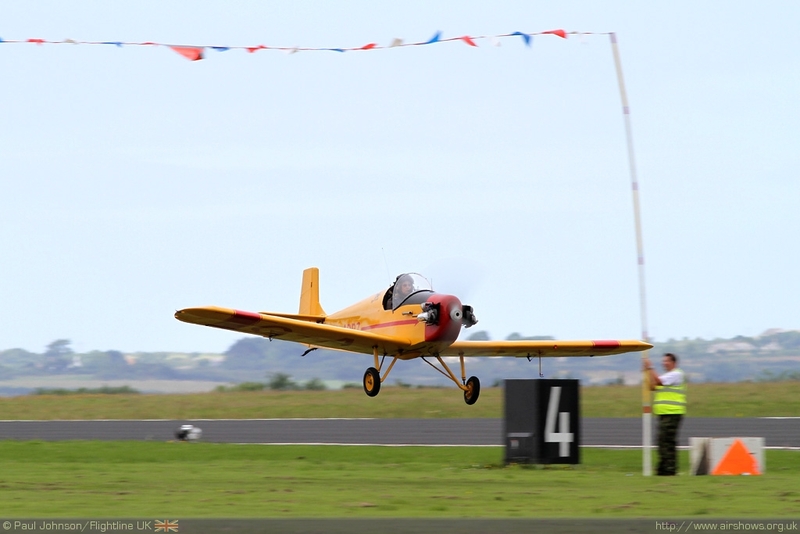 This midweek airshow always coincides with the beginning of the school holidays attracting a number of tourists from around the country. The weather has been a constant problem for the show in previous years with the last two shows nearly being rained off completely. Thankfully, 2010 was a different story with relatively pleasant weather ensuring the flying displays went off without a hitch. 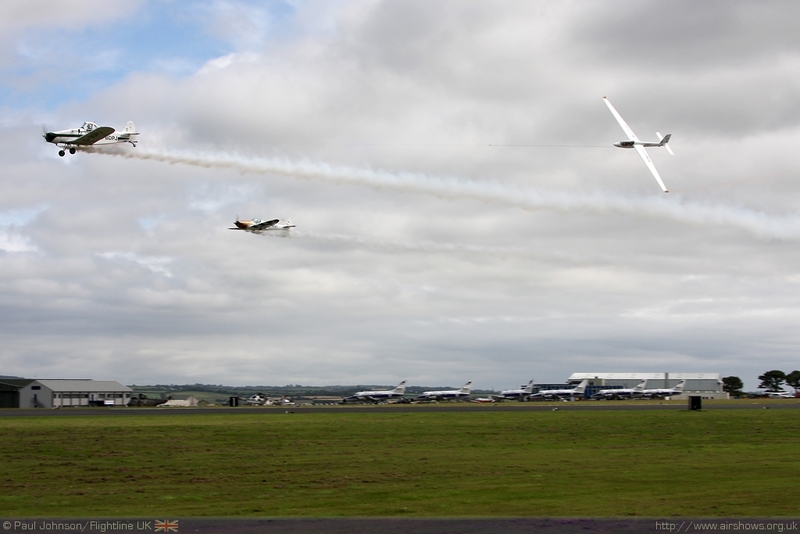 Paul Johnson/Flightline UK reports from the far South west. All photography copyright of the Author. Video highlights courtesy of Planes TV. 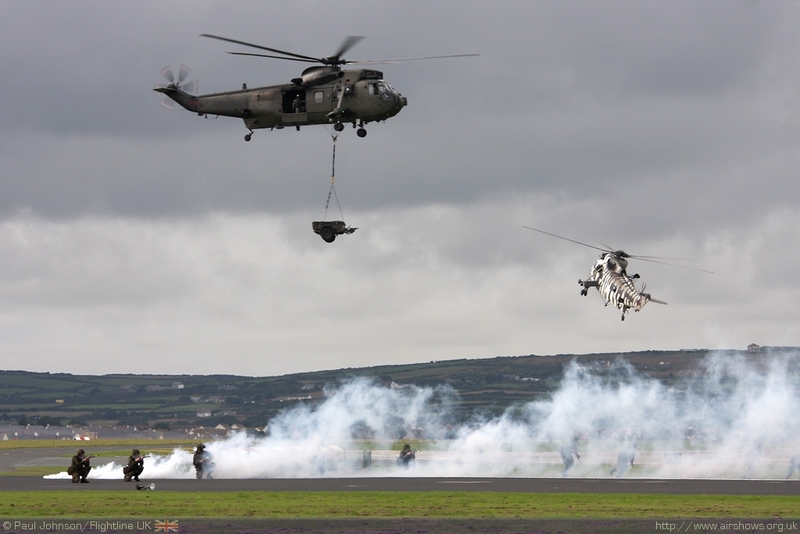 RNAS Culdrose is one of the busiest helicopter bases in Europe and is home to a wide variety of different roles. The airfield which is situated just north of the Lizard is an important part of the local economy. 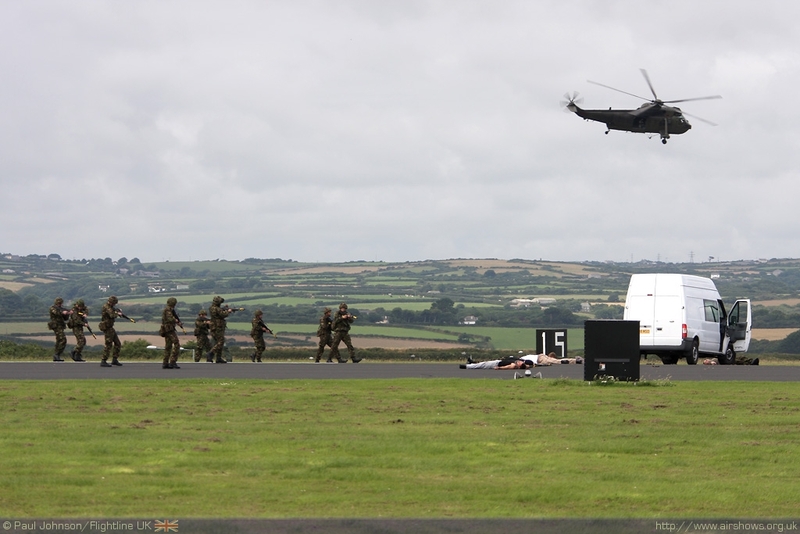 Culdrose covers everything from training to front line squadrons with a number of units deployed around the world. Culdrose was commissioned as HMS Seahawk in 1947 having being surveying in 1942. Built as a wartime station, the airfield was designed to accommodate nine squadrons and 1500 personnel. 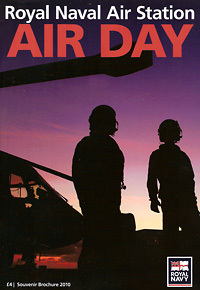 Initially, Culdrose was to be home to a Navy Fighter School but saw trials of the first jets for the Royal Navy, training for Airborne Early Warning (AEW) units and a home to number of front line carrier based units. 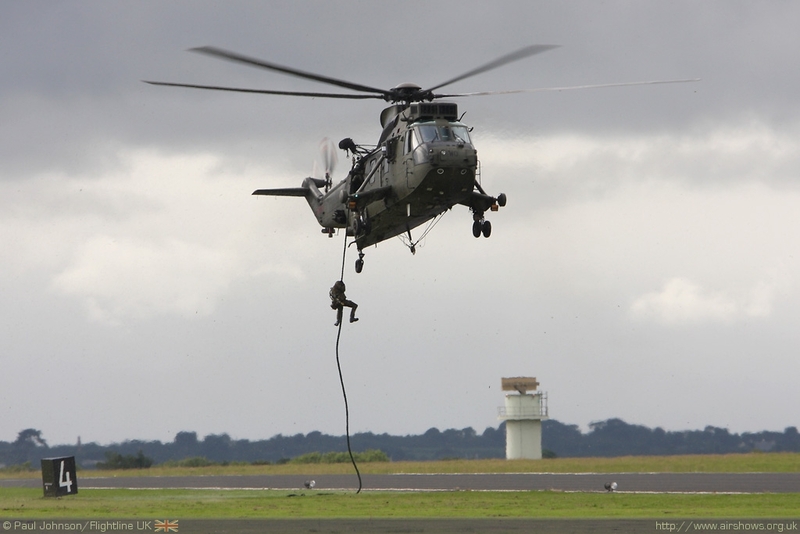 Today, RNAS Culdrose is responsible for Operational and Advanced Flying Training of helicopter pilots, observers, aircrew men, in subjects as diverse as search and rescue, weather forecasting, aircraft handling and other aviation specialist subjects. Because of the wide variety of trades at Culdrose, all members of the Fleet Air Arm will, at some time in their career, train or serve at RNAS Culdrose! 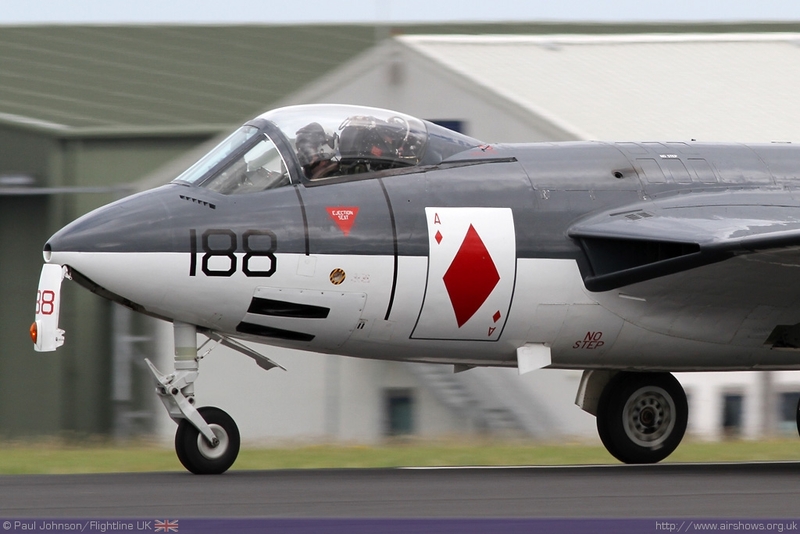 Currently, there are ten Naval Air Squadrons based at Culdrose and the Hawk jets of the Fleet Requirements Air Direction Unit (FRADU). 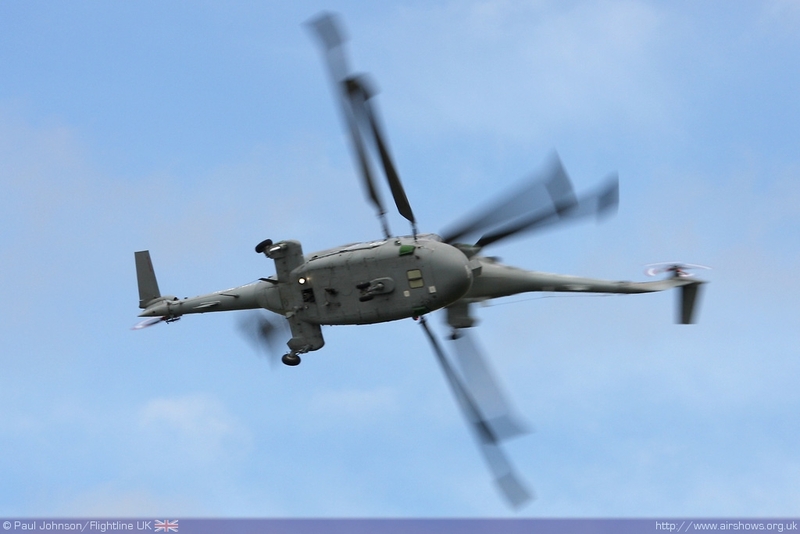 Currently, personnel and helicopters from Culdrose are operating around the world. In Afghanistan, The Sea King ASaC7 force is providing much needed support for coalition troops on the ground deployed in support of Operation Herrick. The aircraft are used to gather vital intelligence and surveillance in Helmand Province using their radar. 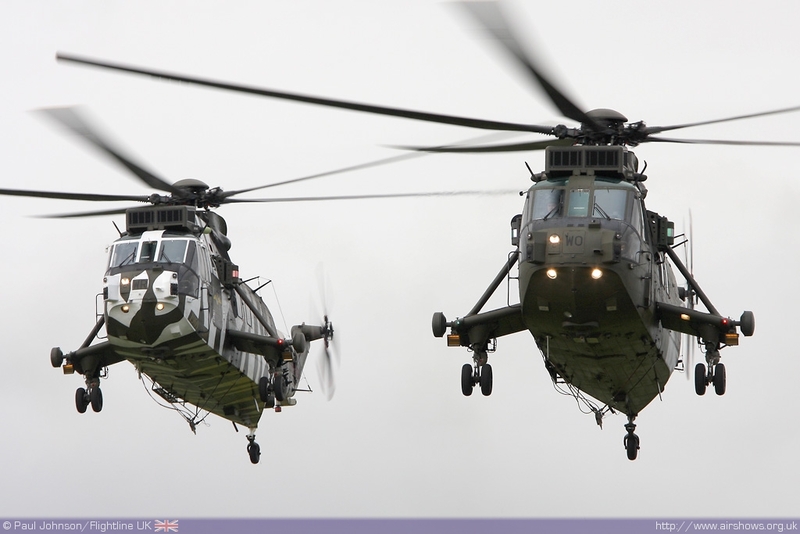 854 and 857 Naval Air Squadrons both have personnel based at Camp Bastion. 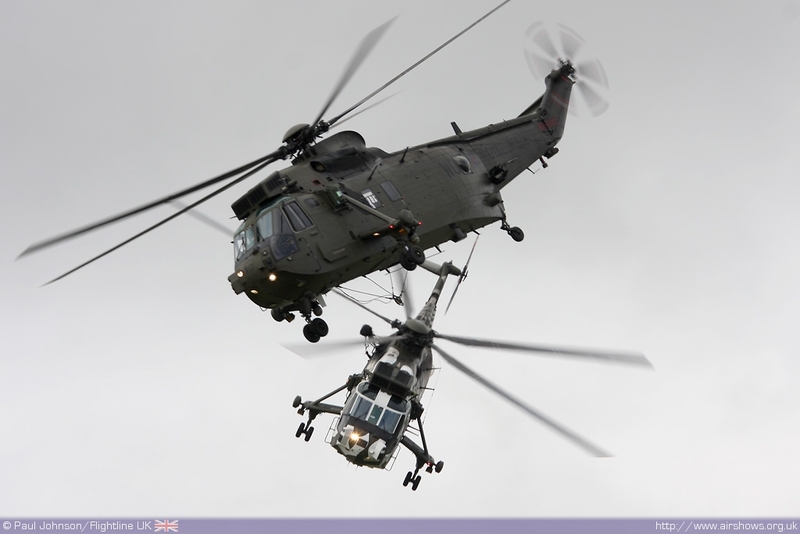 At the time of Air Day, elements of Culdrose's Merlin HM1 force were deployed on three different operations. 814 Naval Air Squadron were embarked on HMS Ark Royal and RFA Fort George in support of Operation Auriga over the eastern sea-board of the USA. They are participating in major maritime exercises with the US and Canadian Navies. Under Operation Calash, 820 and 829 Naval Air Squadrons are deployed on Type 23 Frigates in the seas around the Middle East and east Africa on counter-piracy and counter-terrorism duties. This has become a vitally important mission for the Royal Navy as a result of recent high profile ship hijacking and hostage taking. The Royal Navy is still deployed in support of Operation Telic, the UK armed forces operation in Iraq. 829 Naval Air Squadron are also deployed in the Persian Gulf in support of operations working with the new Iraqi government. Their role is to maintain security as well as to support economic development and reconstruction. 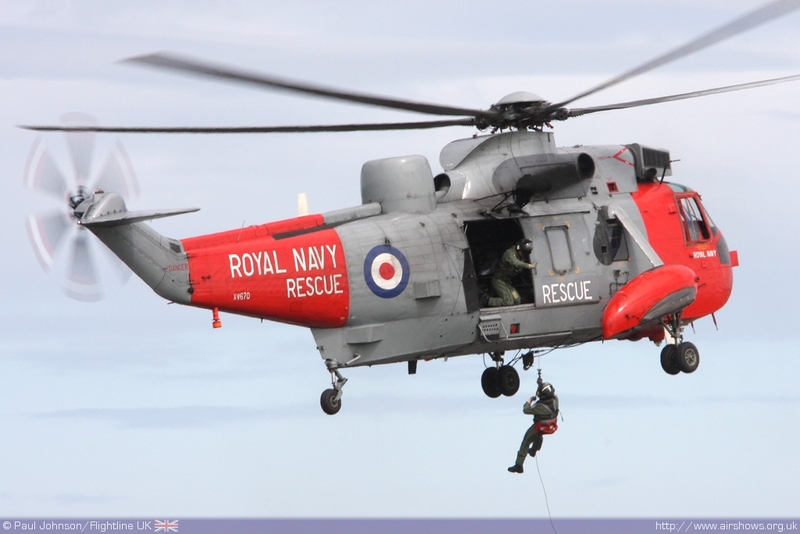 Culdrose's other high profile role is as home to 771 Naval Air Squadron. 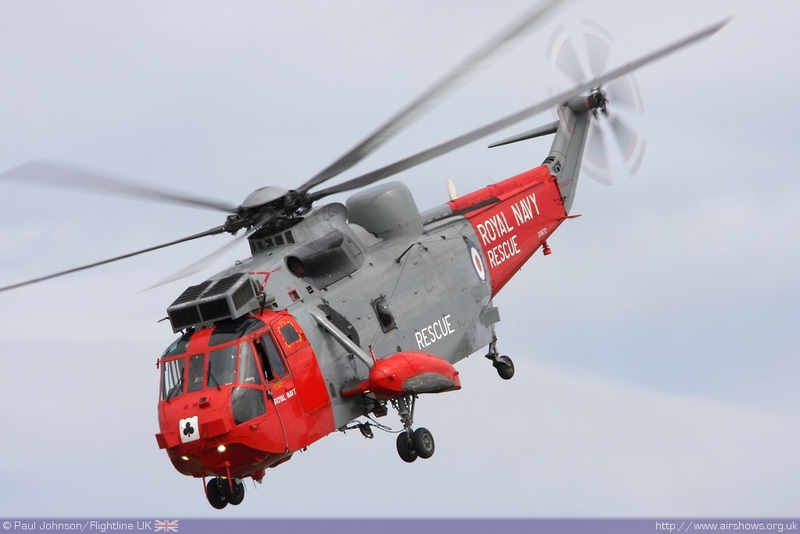 771 NAS fly the Sea King HU5 on Search and Rescue duties through the South west of England. There are on standby 365 says a year at 15 minutes notice during daytime and 45 minutes at night. 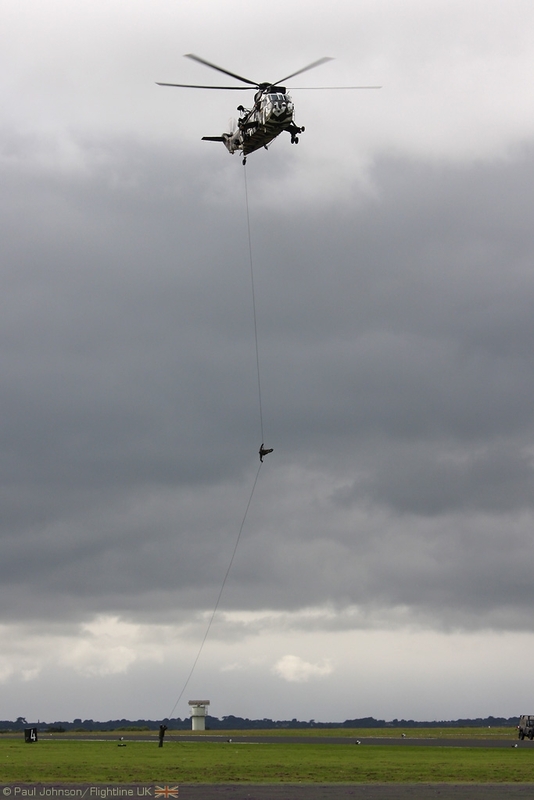 in 2009 they performed 311 rescues, the most ever performed and a huge leap on the average 200 per year. 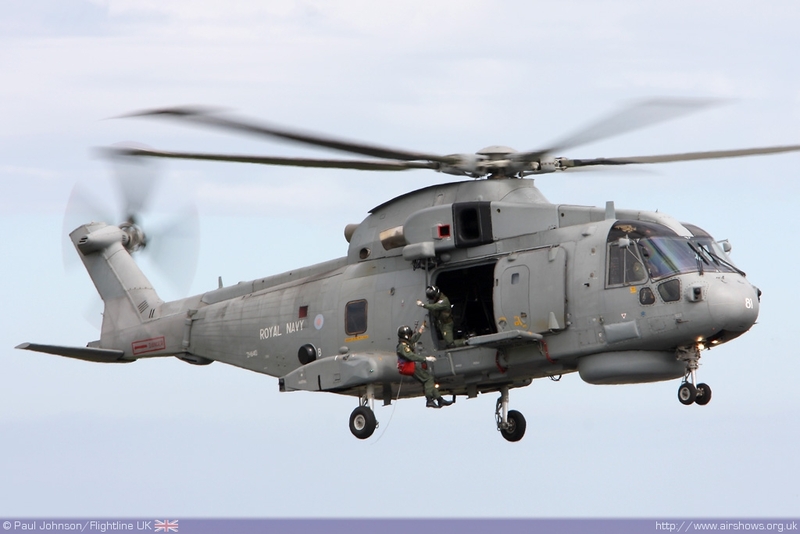 Alongside the rotary wing assets, 750 NAS provides Fleet Air Arm observer training using the Jetstream T2. 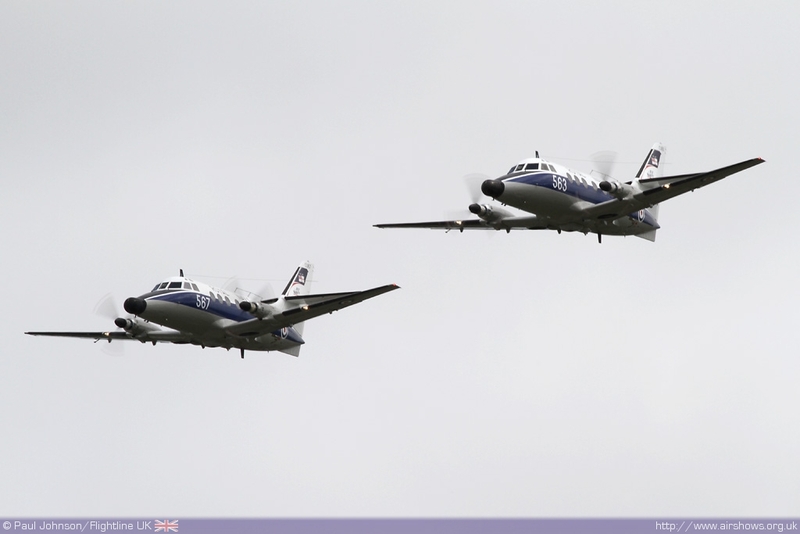 2010 is the final chance to see these workhorses in public as the type is due to be replaced by the Hawker Beechcraft King Air in March 2011. 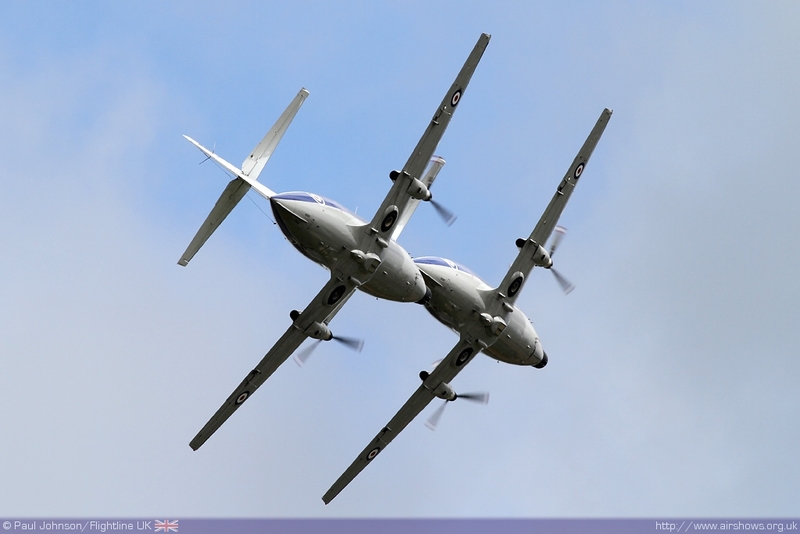 Just four King Air will replace the current fleet of Jetstreams and it's likely the Navy will rename the King Air with likely names including "Avenger!" 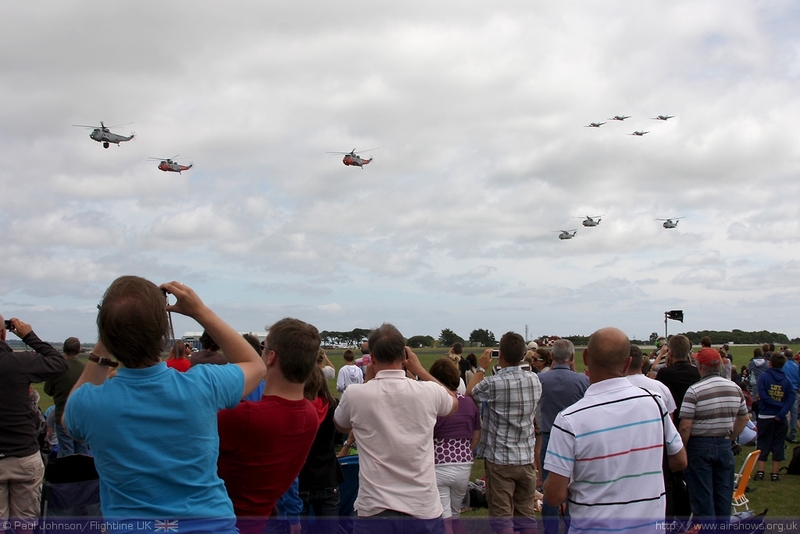 The aim of the Culdrose Air Day is to show off to the public what life on a Naval Air Station is like. Culdrose's relatively small show ground is packed with exhibtions from all branches of the Fleet Air Arm and and the Royal NJavy in general. The show is slightly unusual as it takes a midweek slot during the early part of the school holidays. This is to take advantage of the large amount of holiday makers in Cornwall for the summer holidays which pulls in people from all over the country rather than purely a local audience. 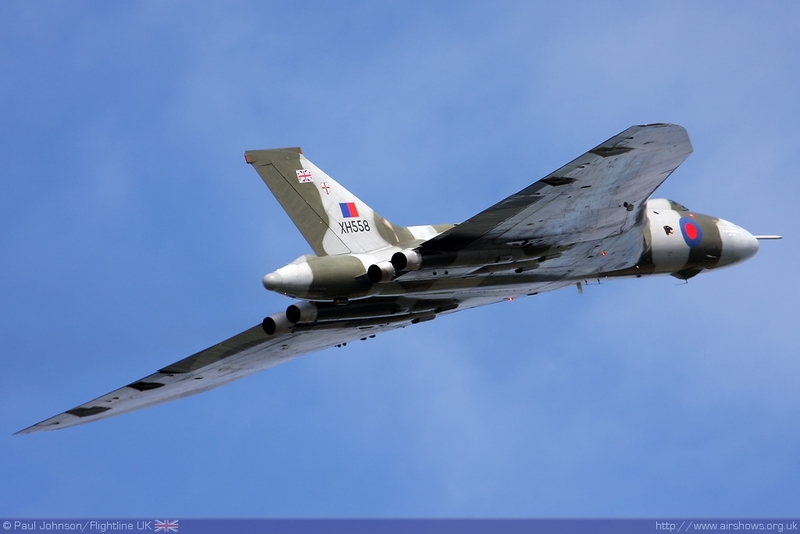 The disadvantage as many enthusiasts view this is that the RAF displays are usually absent from the the show as this slot usually clashes with their mid-summer break. However, this does put the focus purely on the Royal Navy! The "first port of call" for visitors to the airshow was the static park. 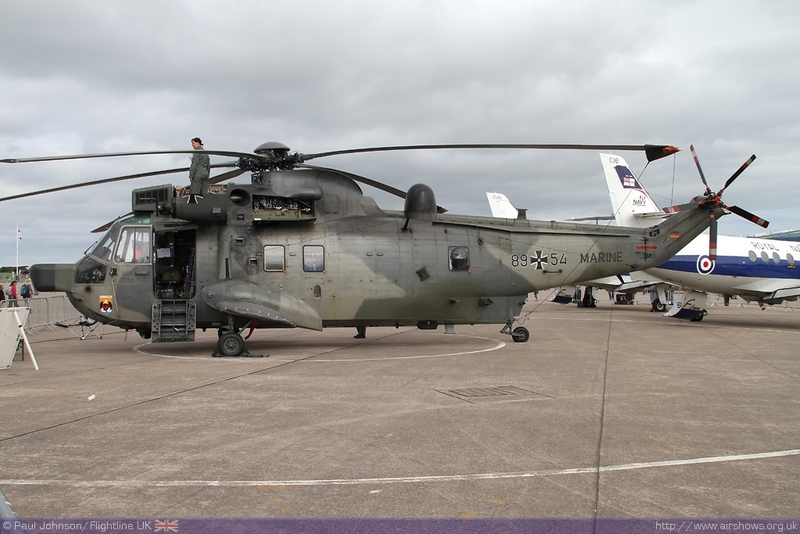 The show can boast a few items you will see no where else, certainly in the numbers seen at Culdrose. 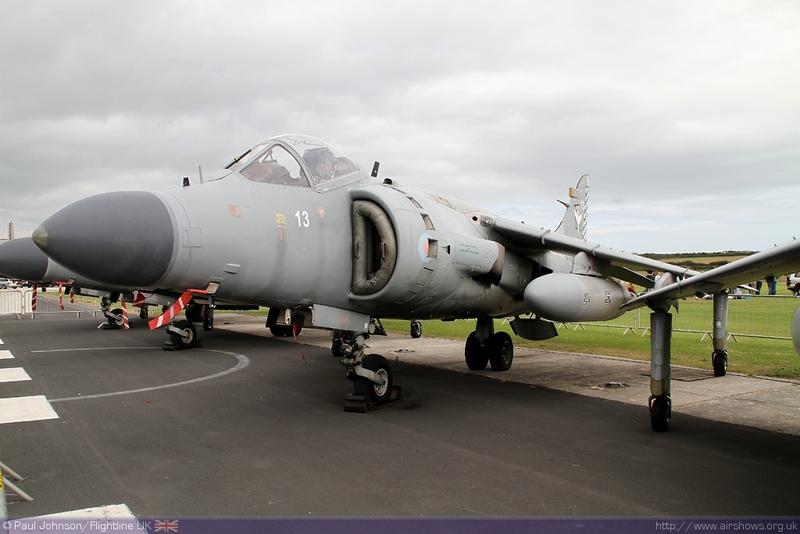 Many of the Royal Navy's Sea Harrier FA2s and Harrier T8s were "retired" to Culdrose to provide aircraft for the Royal Navy's School of Flight Deck Operations. The aircraft are taxied and position around a mock up of a flight deck at Culdrose. Several of the FA2 were parked together on the cross runway while a single T8 appeared alongside other aircraft in the main static area. 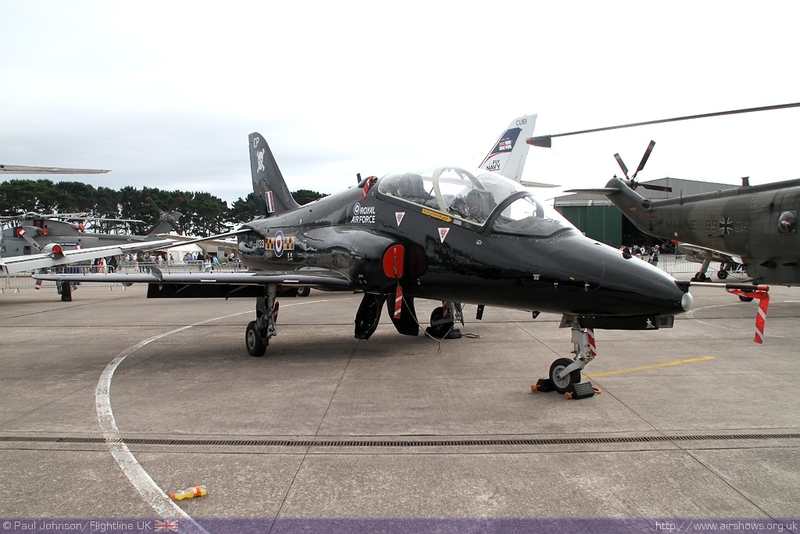 All of Culdrose's other aircraft were well represented on the ground including the BAE System Hawks which were sadly grounded at the time of the show following the discovery of cracks in the ejection seats in some of the RAF's and Royal Navy's fleet. 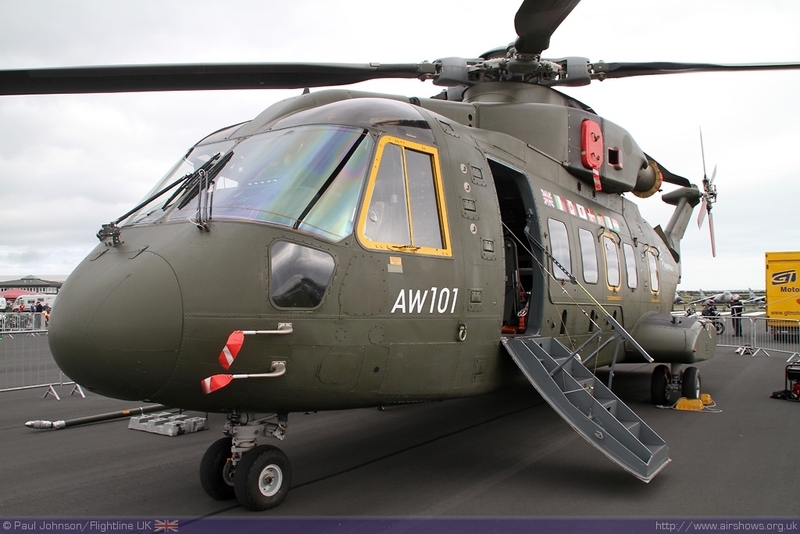 There was also a possible glimpse of Culdrose's future with AgustaWestland's AW101 AEW demonstrator in the static park. 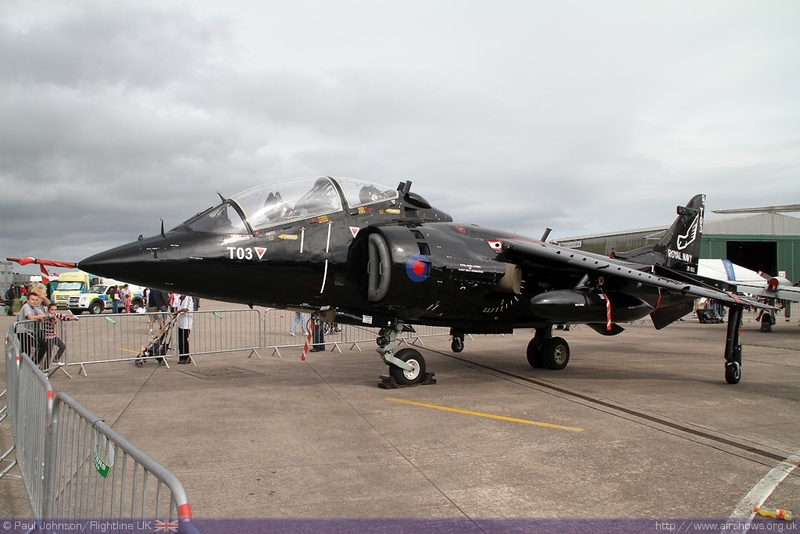 One RAF type that did make it to the show, but too late to be put in static was a Harrier GR9 which did some welcome hovering early in the day. It was joined by a small, but very welcome contingent from overseas air arms. 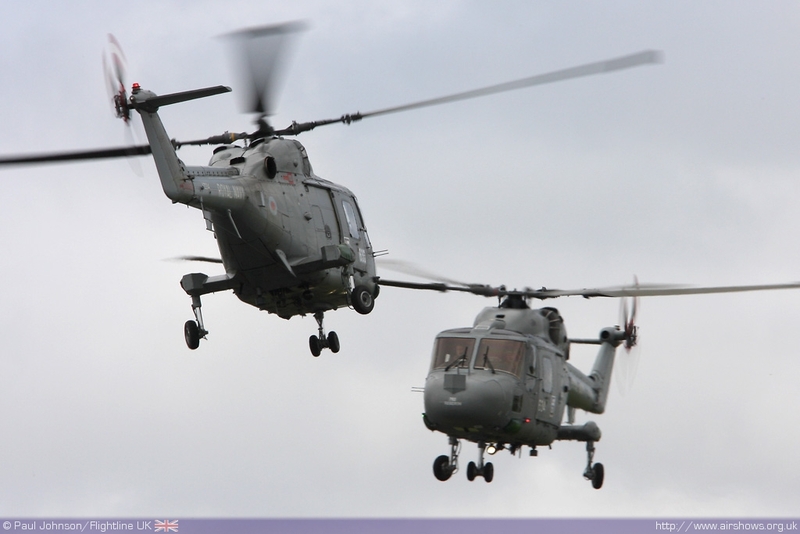 The Royal Netherlands Air Force contributed an AS532 Cougar utility helicopter which was parked on the crowdline. 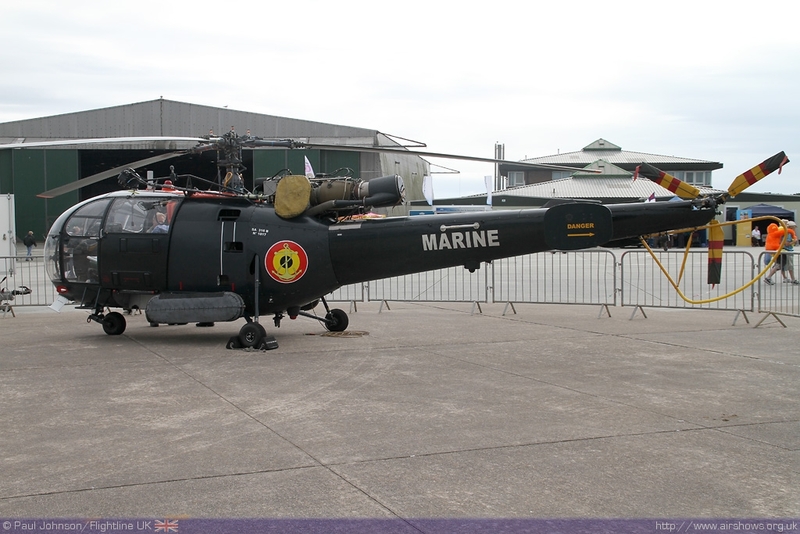 There were also rare appearanes by a German Navy Westland Sea King Mk41 and a Belgian Navy Alouette III. 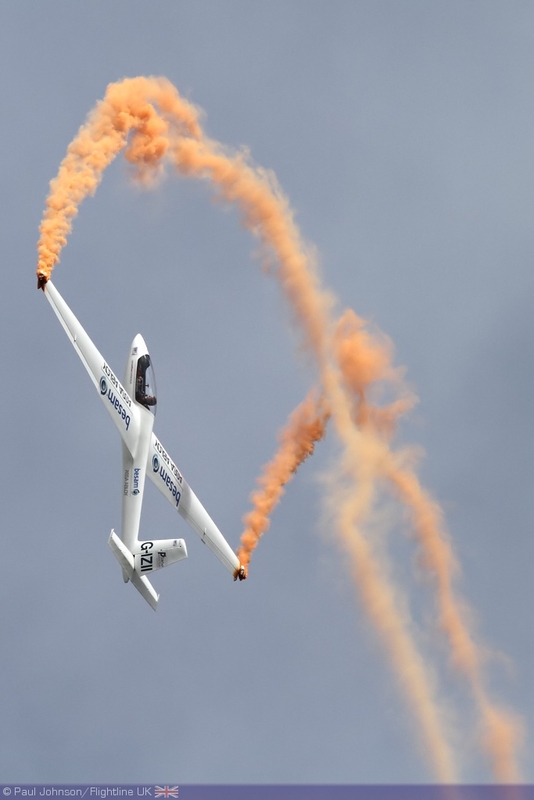 Apart from the Royal Navy aircraft, Culdrose's flying display was totally devoid of currently military aircraft with heavy emphasis on warbirds, classic jets and some of the top civilian displays from across the UK and abroad. 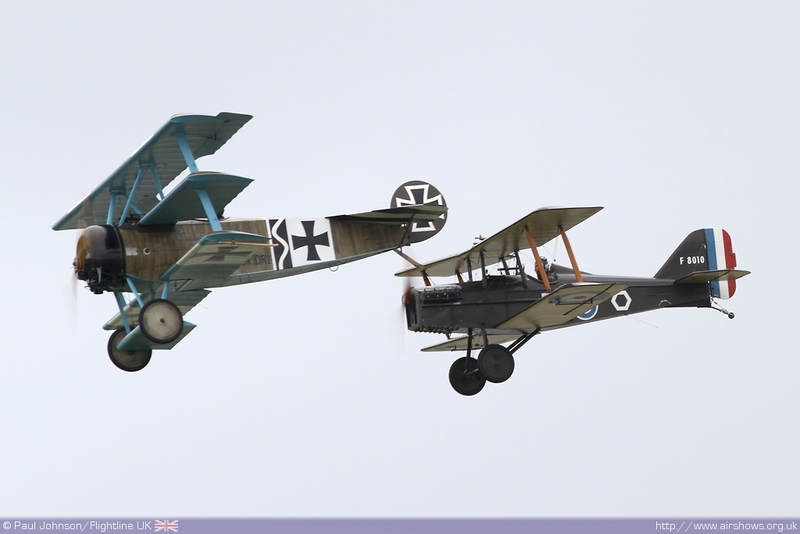 The show was opened by the Great War Display Team who has to contend with the last of the early morning low cloud. 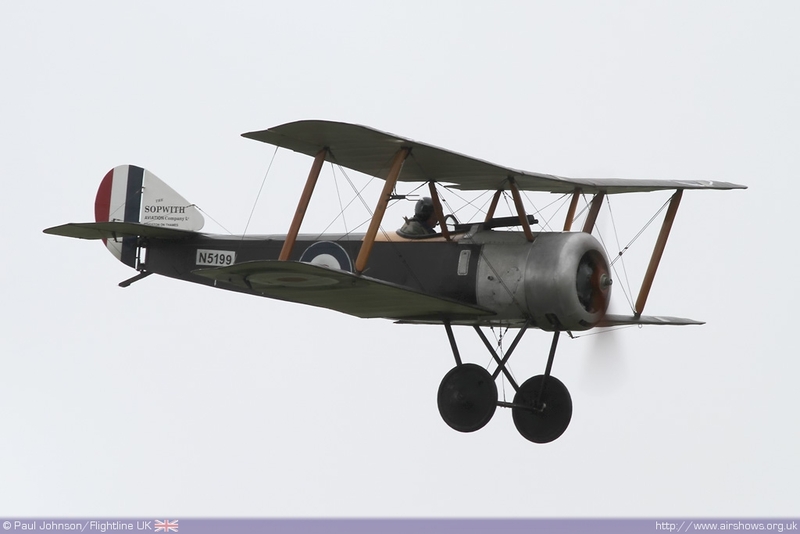 The Royal Naval Air Service played a huge part in the air war over Europe between 1914 and 1918 so these excellent replicas are always a welcome addition to a Royal Navy display. 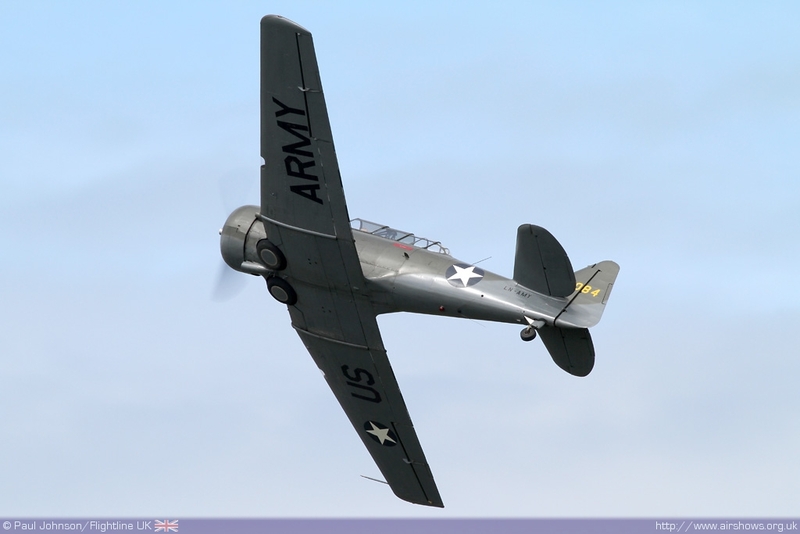 Staying with the very light theme, they were followed by the Tiger Club Turbulent Team who made the epic trip down to Cornwall from Headcorn in Kent. 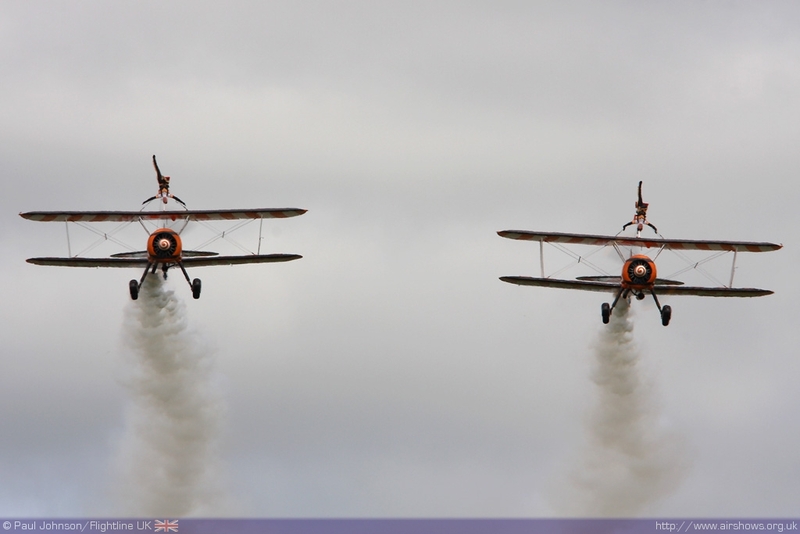 It was also good the see the Breitling Wingwalkers display adding to the barnstorming flying. 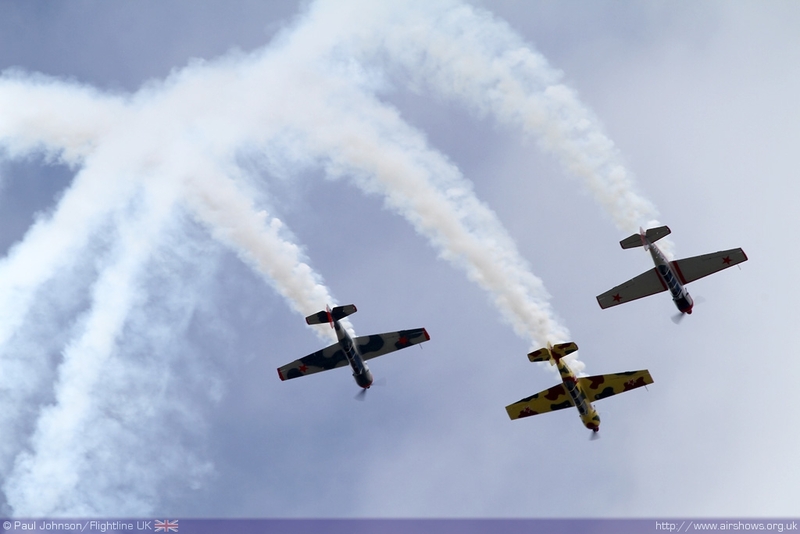 There were aerobatic performances from the Swift Aerobatic Display Team and Team Osprey during the afternoon with both teams making good use of the relative sunny skies over Cornwall. 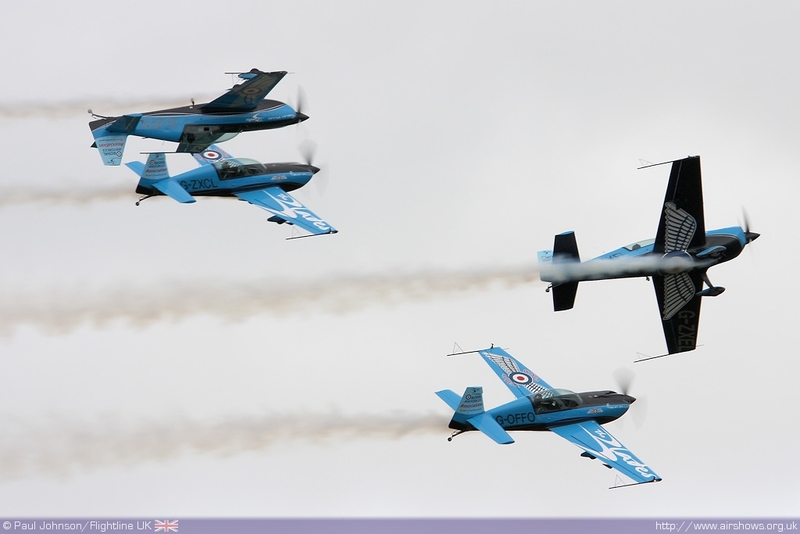 Culdrose also saw the first outing for the new RV8-tors Display Team. 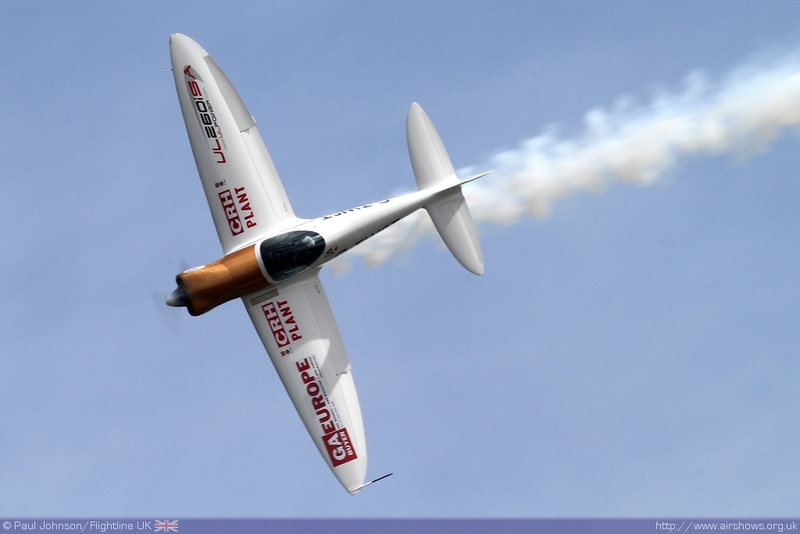 As the name suggests, the team fly the kit-built Vans RV8 sports aircraft. 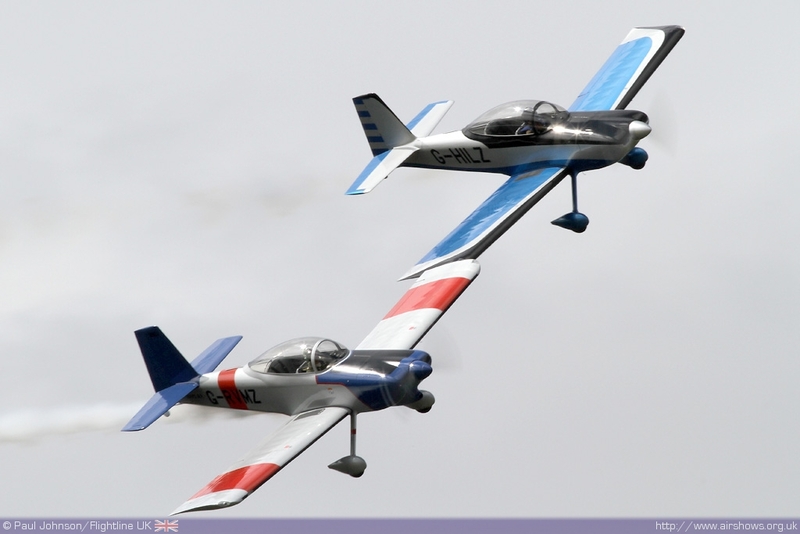 The pilots are Alister Kay and Andy Hill, both highly experienced pilots who performed a pleasing routine combining close formation flying and solo aerobatics in these very fast aircraft. 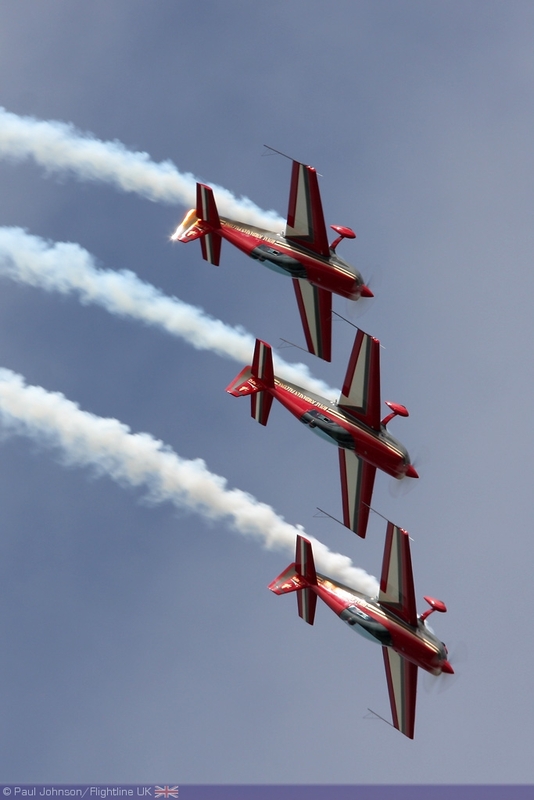 There were also two Extra 300LP equipped teams in the display with the Royal Jordanian Falcons and the Blades appearing in the flying display. 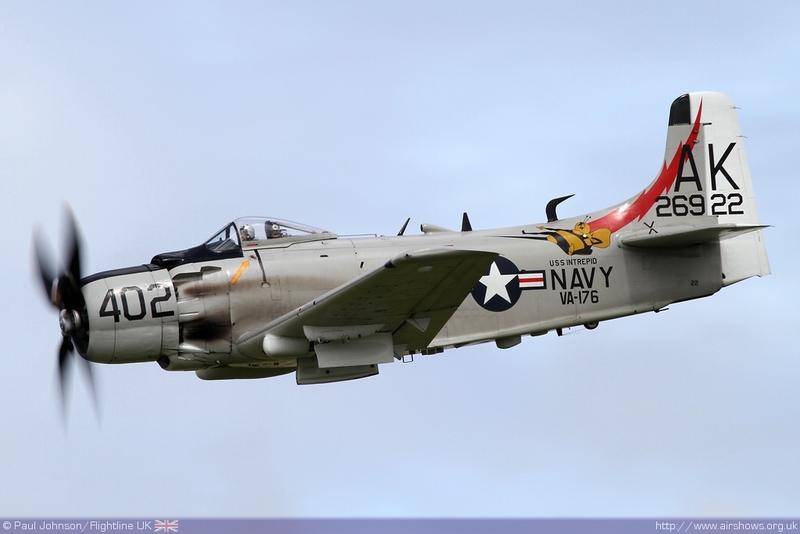 There were plenty of historic aircraft in the show, most with a naval theme. 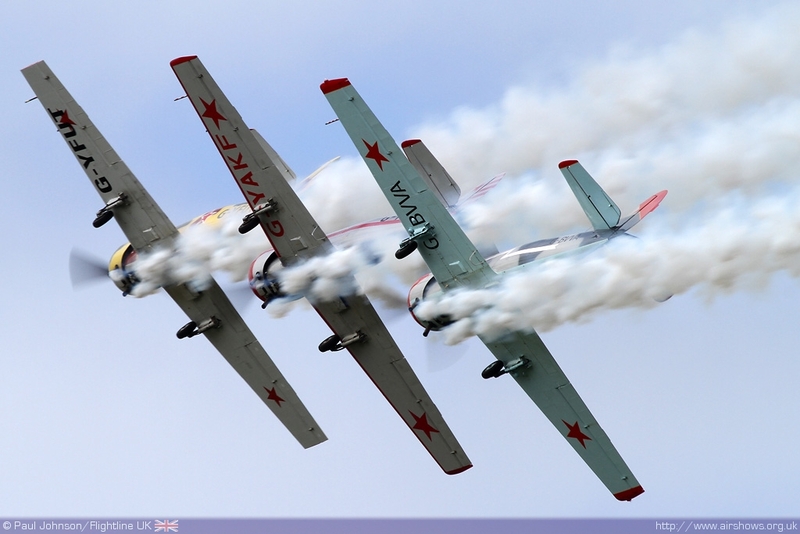 Kennet Aviation had four aircraft in the flying displays. 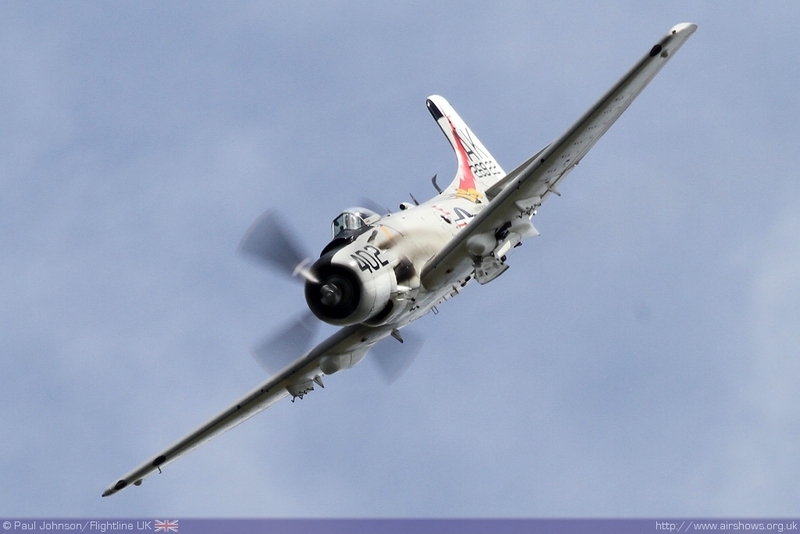 Rod Dean displayed both the North American T-6 Texan and the awesome Douglas AD-1 Skyraider with great verve. 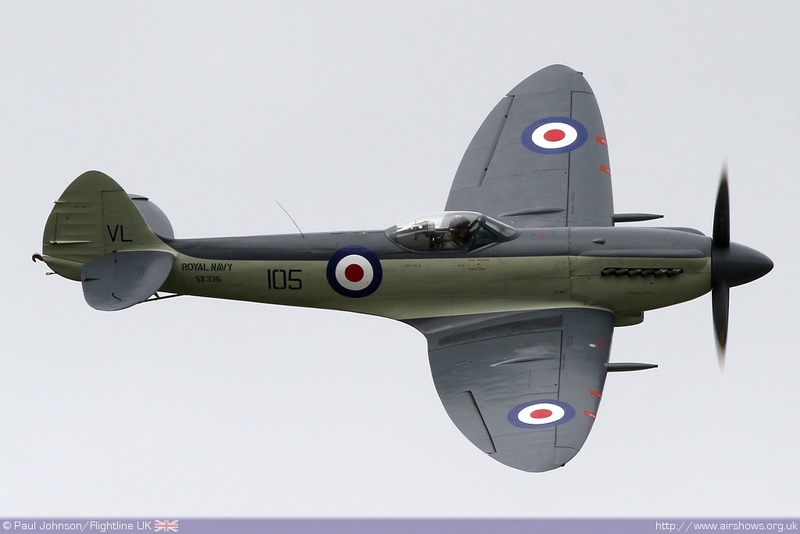 Joining theme were the beautiful Supermarine Seafire XVII and the Westland Wasp HAS1. 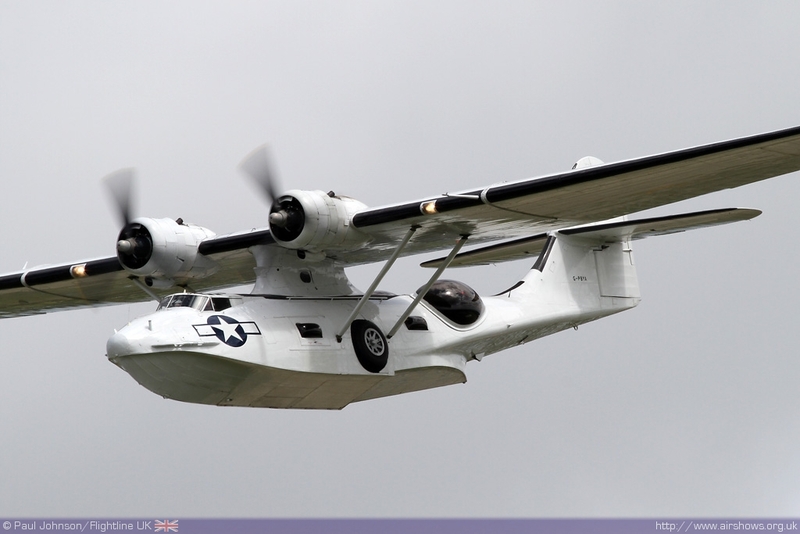 A much larger maritime aircraft on display was the Consolidated PBY-5A Catalina which always puts on a graceful display. 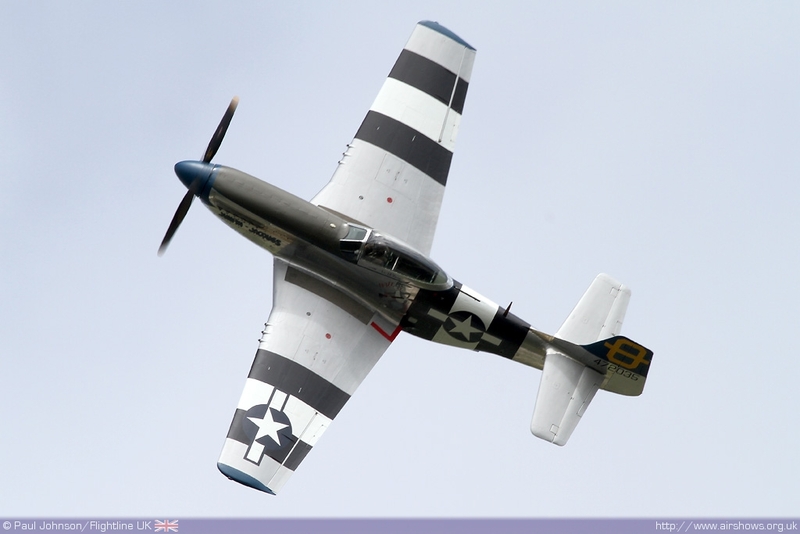 Peter Teichman also displayed his P-51D Mustang. 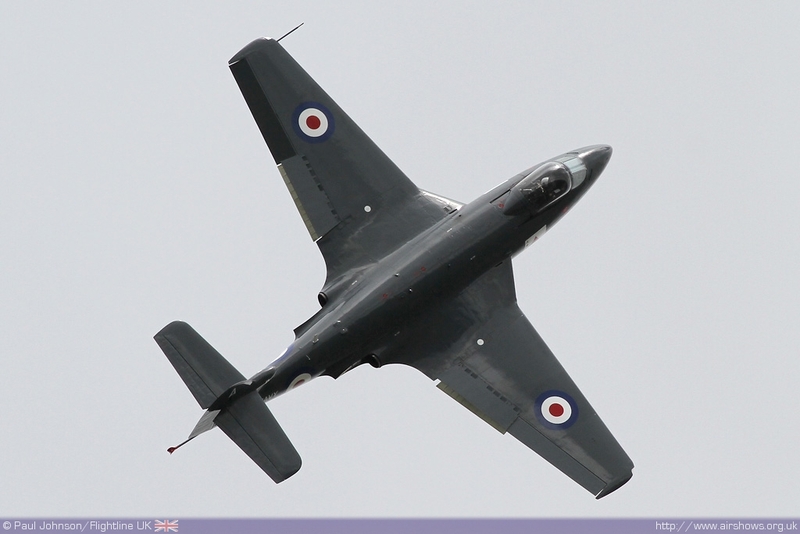 The Royal Navy Historic Flight also displayed their Hawker Sea Hawk FGA6 from Yeovilton. 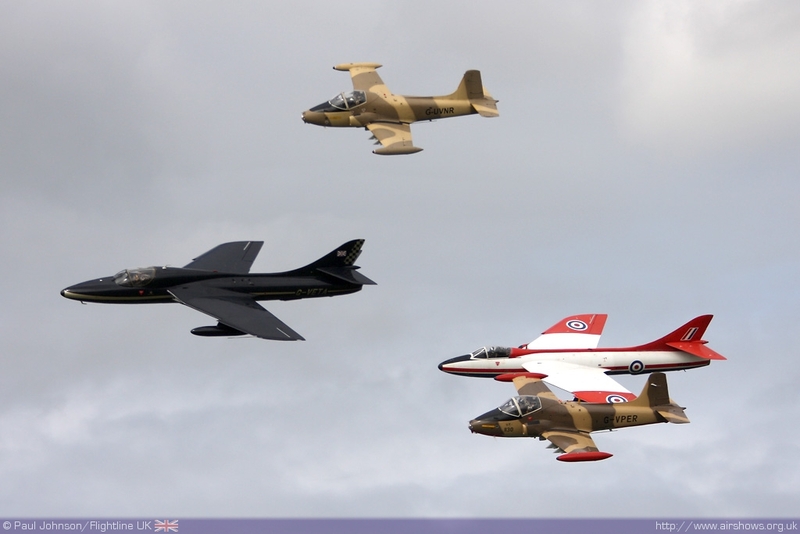 The classic jet theme was continued by Team Viper with their mixed formation of Hawker Hunter T7, Hunter FGA9 and a pair of BAC Strikemasters who had to contend with a low cloudbase. 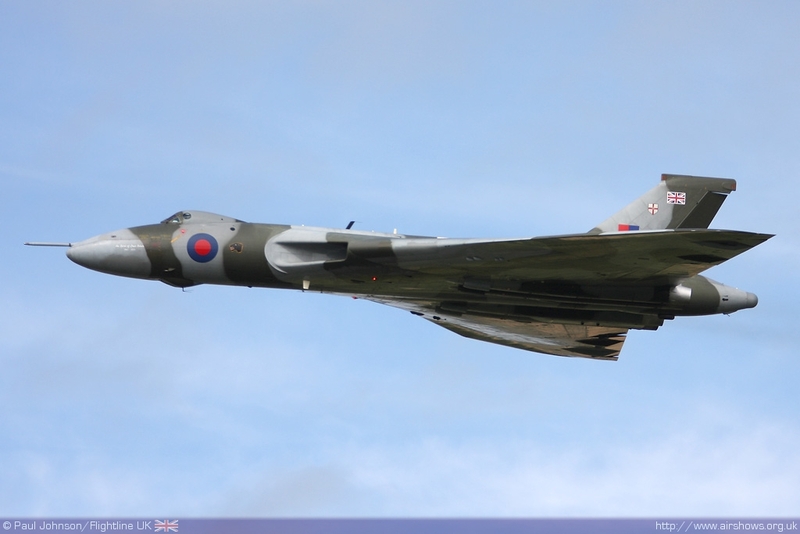 However, show star was the Vulcan B2 XH558 which just made the show following brake problems at Farnborough. 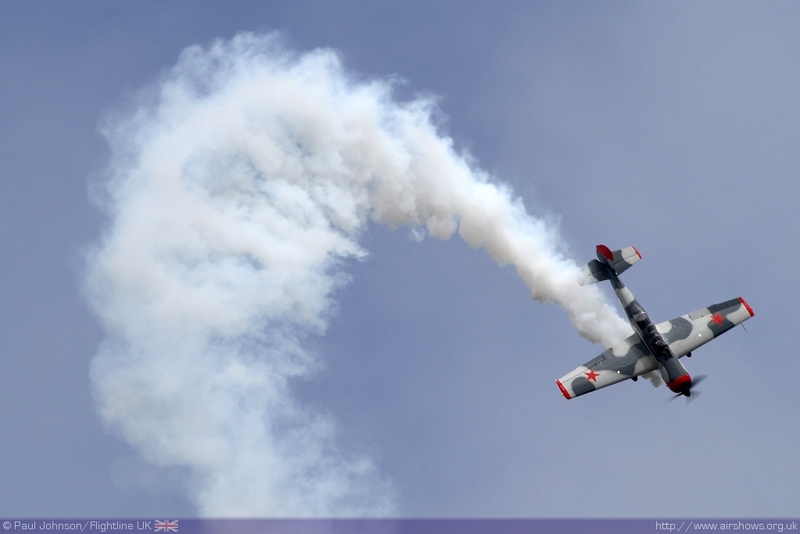 Despite lacking a fast jet display, the Culdrose flying display was a thoroughly enjoyable affair helped enormously by the pleasant mid-summer weather. There are few more beautiful airshow venues in the UK and the north facing display line makes it perfect for photography.